The Sherman tank sits in the square at Bastogne, France in recognition of Gen. George S. Patton’s 3rd Army that broke the German offensive at Bastogne just before Christmas 1944 during the Battle of the Bulge. Note the 4th Armored Division’s triangular insignia on the side of the tank that led the way into the village to free the American 101st Airborne Division surrounded by the Germans. Sgt. 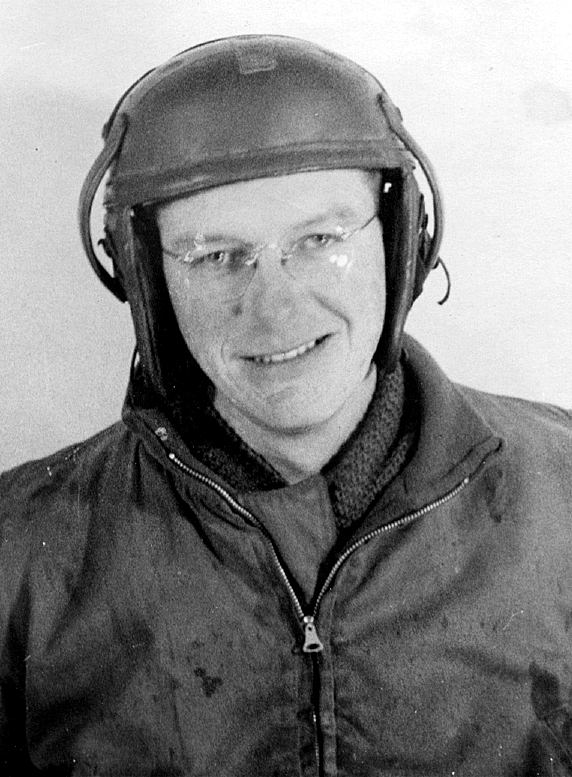 John Beck at 24 when he served as the commander of a tank destroyer in the 3rd Army during World War II. 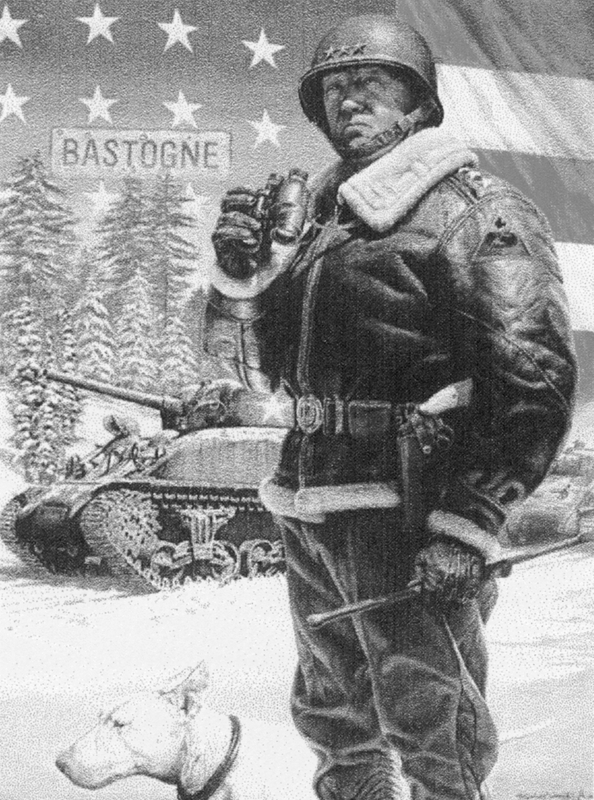 It was the day after Christmas 1944 when the 704th Tank Battalion, 4th Armored Division of Gen. George S. Patton’s 3rd Army broke through the German lines at Bastogne to rescue the 101st Airborne Division, dug in and holding back the enemy onslaught at the Battle of the Bulge. Former Sgt. John Beck Jr. of Punta Gorda Isles, Fla. and the other four soldiers in his tank destroyer were in the thick of it. “In the middle of the fighting for Bastogne we got word that a German Tiger tank was hiding behind a building we were approaching. He didn’t know we were coming so he pulled out of his hiding place,” Beck recalled. 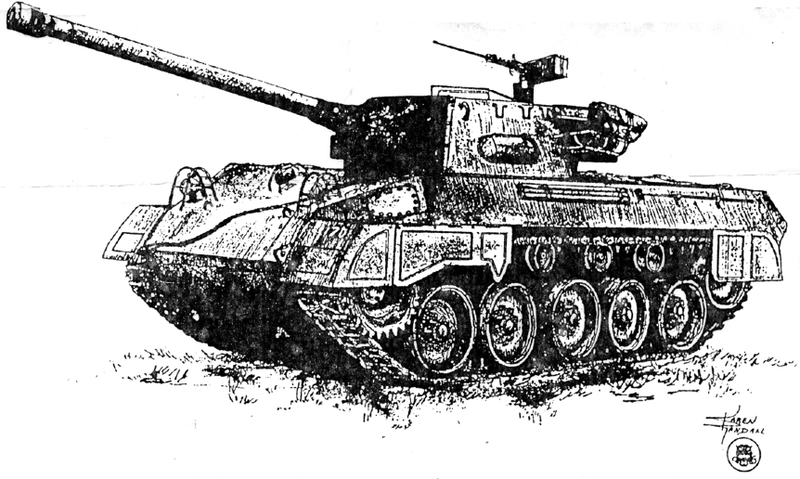 Beck’s tank destroyer was no match for the 68-ton Tiger tank, with its fearsome 88-millimeter gun. A shot from the lumbering German tank’s cannon could punch a hole clean through his lightly armored American rig armed with a 76 millimeter gun that wouldn’t penetrate the 7.2 -inch armor on the enemy tank’s front. “I shot the tread off the tank and crippled him. All he could do was go around in circles with the tread off. The Tiger crew jumped out and ran,” Beck said. The fighting in and around Bastogne was heavy. There was a lot of small arms fire to contend with as the 704th broke the German resistance. The enemy’s Stuka dive bombers bombed the advancing 3rd Army as it came charging through the snow and cold that blanketed the Bastogne section of the front. A few days later, the German’s greatest offensive on the Western Front during World War II collapsed. What was left of 600,000 German troops fell back toward the “Fatherland” in disarray. More than 1 million men had fought in Adolf Hitler’s final failing gamble. This is the rig Beck operated with its 76 millimeter gun and .50 caliber machine-gun on top. The destroyers were lightly armored, but could move much faster then a tank. Patton and the 3rd Army were in Belgium when the Allies first realized the German offensive was underway. All the reinforcements that could quickly be dispatched including Patton’s army were turned around and sent back to help stop the enemy offensive. There were some close calls for the soldiers in his tank destroyer on their way to stop the German advance at Bastogne. The 704th Tank Battalion was also attacked while on the road, by lone Messerschmidt fighter plane. “We were in a column on our way to Bastogne moving as fast as we could when this ME-109 made a strafing run over us. The second time around we’re waiting for him. I was on my ring-mounted .50 caliber machine-gun atop my tank, shooting away at him, when he crashed a short distance away. We all took credit for shooting him down,” he said with a smile. “On the way to Bastogne, we would see Patton along the side of the road waving us on. I don’t know how he got ahead of us all the time, but he did. Patton was right there breaking it up and getting things moving again. He was a relentless man,” he said. After the 704th completed its advance at Bastogne, the battalion had been on the front lines for months. As part of the 4th Armored Division in Patton’s 3rd Army, it was moving as fast as possible across Western Europe, heading east. It had landed at Utah Beach two weeks after D-Day. The 3rd Army broke out in Normandy at St. Lo and advanced south to Avanches, Rennes, Lorient and then it turned north and took Nantes, Angers, Orleans, Tyroes, Bayen Meuse and finally Bastogne. By March 1945 the 4th Armored Division crossed the Rhine River on a pontoon bridge at Worms, Germany. It wasn’t long afterward that Beck and his men were seriously injured during the closing days of the war. Gen. George S. Patton, wearing a 4th Armored Division patch on his shoulder, was the hero of the Battle of the Bulge. He is shown here with a Sherman tank in the background. The general was Sgt. John Beck Jr.’s commander. “It was April 2, 1945 and my tank destroyer was having mechanical problems. We had been back getting it worked on when I headed back up toward the front along the German border with Czechoslovakia. We were told there were a few lightly armed Germans in a woods we had to pass. What we didn’t know was that there was an 88 (cannon) hidden in the woods, too,” he said. As they tried to flush the Germans out of the trees, their tank destroyer was nailed by the German 88. “The tank caught on fire when we were hit. I was shot off the top of our destroyer and one of our drivers was killed. They kept shooting at us as we were piling out of the destroyer,” he said. “I got hit in the shoulder by a bullet that went right through my binoculars,” Beck said. “When it did, it exploded the Bakelite from the binoculars and the glass from the binoculars went into one of my lungs. That caused me all kinds of medical problems. He spent the next 10 months recuperating from his wounds in a military hospital on Staten Island, N.Y. before he was discharged. Sixty years later, sitting at a table in his Punta Gorda Isles, Fla. home, the 81-year-old Beck recalled the first time he got a good look at Patton. “Patton gave us a pep talk in England before we left for France. He was like our coach. He was all decked out in his riding boots and his ivory-handled revolvers with his swagger stick standing on a stage in a field talking to us. “I don’t want you to die for your country. I want those German bastards to die for their country,” he told us. 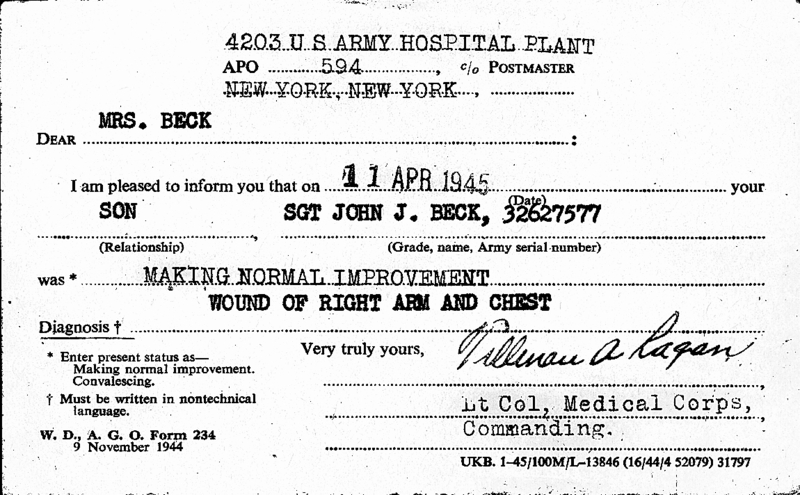 Beck followed the general’s instructions to the letter. He survived the war. Like other old soldiers who followed Patton into battle a life time ago, he believes the general was a great leader of men. Name: John J. Beck, Jr. Hometown: Halloran, Long Island, N.Y.
Current: Punta Gorda Isles, Fla.
Commendations: Purple Heart with three oak leaf clusters, Presidential Unit Citation, European African Middle Eastern Campaign Ribbon with five stars: Normandy, Northern France, Rhineland, Ardennes and Central European Campaign, World War II Victory Medal, Good Conduct Medal. This story was first published in the Charlotte Sun newspaper, Port Charlotte, Florida on Friday, December 27, 2002 and is republished with permission. John Jos. 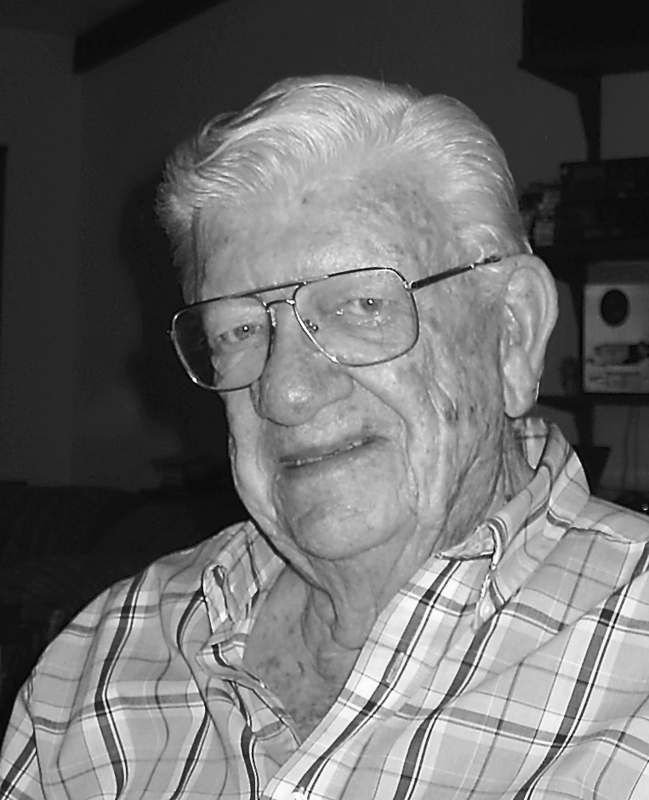 Beck, Jr., of Punta Gorda, FL passed away on his 95th birthday January 16, 2016. He was the son of Edna and John Beck, Sr., born January 16, 1921 and raised in Ridgewood Queens, N.Y.
John was a highly decorated WWII Veteran in the US Army. He served as the commander of a tank destroyer in Gen. George Patton’s 3rd Army. John was the recipient of the Good Conduct Medal, WWII Victory Medal, Purple Heart with three oak leaf clusters, Presidential Unit Citation, European-African-Middle Eastern Campaign ribbon with five stars; Normandy, Northern France, Rhineland Ardennes and Central European Campaign. John will be greatly missed by his wife of 60 years, Rosemary; along with many friends and neighbors. A memorial service will be held at Sarasota National Cemetery at a later date. Memorial donations may be made to the Wounded Warrior Project or Peace River Wildlife Center., 3400 Ponce de Leon Pkwy, Punta Gorda, FL 33950. To express condolences to the family, please visit http://www.Ltaylorfuneral.com and sign the online guest book. Arrangements are by Larry Taylor Funeral. Noted and corrected. Thank you for the heads-up. My father was a tank commander there too. Gilford W. Crowell was a sergeant under Patton’s command. His tank was mortared, and the crew came under machine gun fire. It was a miracle he survived. Dad passed away Oct. 1994.